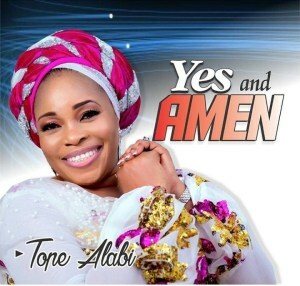 Tope Alabi, also known as Ore ti o common, and as Agbo Jesu, (born 27 October 1970 in Ogun, Nigeria) is a multi-platinum Nigerian Gospel Singer, music composer and actress. Alabi was formerly a member of the Jesters International comedy group. She later worked with other popular travelling and stage theater groups in both Ibadan and Lagos. She made films in the Yoruba film genre of Nigeria. Alabi later metamorphosed into gospel music after she became a born-again Christian.